⑨F.B. King, R. W. Graham, Effects of ecological and paleoecological patterns on subsistence and paleoenvironmental reconstructions, American Antiquity, 46:128　142,1981. ⑩M.Q. Sutton, E. N. Anderson, Introduction to Cultural Ecology, Altamira Press, 2004,33. (12)M.D. Sahlins,On the sociology of primitive exchange,In The Relevance of Models for Social Anthropology,edited by M. Banton, 139-236. Association for Social Anthropology, Monograph 1, London, 1965. (13)Chen Shengqian, Adaptive Changes of Prehistoric Hunter-Gatherers during the Pleistocene-Holocene Transition in China, Ph. D. Dissertation, Southern Methodist University, Dallas, 2004. (14)O. Soffer,Storage ,sedentism and the Eurasian Paleolithic record, Antiquity 63: 719-732,1989. (20)A. Gilman, Explaining the Upper Paleolithic Revolution,In Marxist Perspective in Archaeology, edited by M. Spriggs,pp. 1-9. Cambridge University Press, Cambridge, 1984. 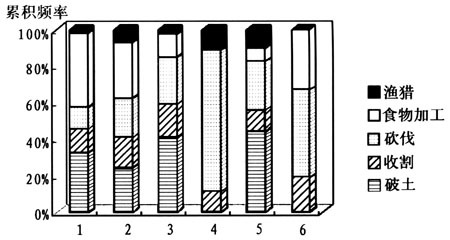 (21)L. R. Binford, Constructing Frames of Reference: an Analytical Method for Archaeological Theory Building Using Ethnographic and Environmental Data Sets ,University of California Press ,Berkeley, 2001. (28)R. G. Elston,and P. J. Brantingham,Microlithic technology in Northern Asia: a risk-minimizing strategy of the Late Paleolithic and Early Holocene,In Thinking Small:Global Perspective on Microlithlzation,edited by R. G. Elston and S. L. Kuhn, 103– 116,Archaeological Papers of the American Anthropological Association Number 12,2002. (36)M.G. Winkler,and P.K. 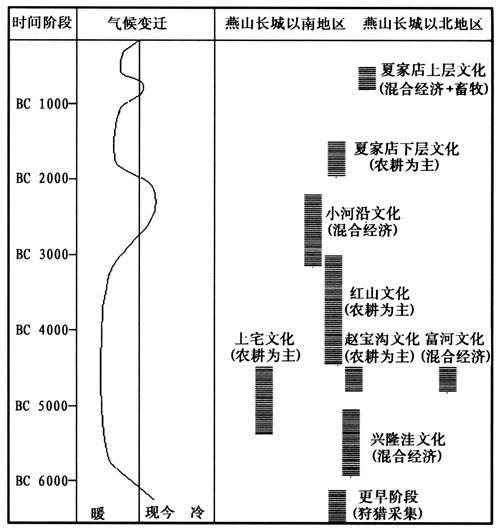 Wang,The Late-Quaternary vegetation and climate of China, Global Climates since the Last Glacial Maximum, edited by H. E. Wright et al, 221-261 ,University of Minnesota Press ,Minneapolis, 1993. (37)P. M. Grootes,et al. Comparison of oxygen isotope records from the GISP2 and GRIP Greenland ice cores, Nature,366:552- 554, 1993; K. C. Tylor, et al. The Holocene-Younger Dryas transition recorded at Summit, Greenland, Science, 278:825-827,1997. (40)P. S. Martin, and D. W. Steadman, Prehistoric extinctions on islands and continents, In Extinctions in Near Time: Causes ,Contexts,and Consequences,edited by R. D. E. MacPhee, 17-55, Kluwer Academic/Plenum, New York, 1999. (41)J. E. Kutzbach, T. Webb, Conceptual basis for understanding Late-Quaternary climates, In Global Climates since the Last Glacial Maximum, edited by H. E. Wright et al, 5-11, University of Minnesota, Minneapolis, 1993. (42)M. C. Steiner et al,Paleolithic population growth pulses evidenced by small animal exploitation, Science 283:190-194,1999. (43)M. Basgall,Resource intensification among hunter-gatherers:acorn economies in prehistoric California, Research in Economic Anthropology 9:21-52,1987. (46)L. R. Binford, In Pursuit of the Past: Decoding the Archaeological Record, University of California Press, Berkeley,1983. (47)J. D. Spector,What this awl means: toward a feminist archaeology, In Engendering Archaeology,edited by J. M. Gero and M. W. Conkey, 388-406, Basil Blackwell, Cambridge, 1991. (50)吴海斌、郭正堂：《末次盛冰期以来中国北方干旱区演化及短尺度干旱事件》，《第四纪研究》2000年6期；M. G. Winkler, and P. K. Wang, The Late-Quaternary vegetation and climate of China, In Global Climates since the Last Glacial Maximum, edited by H. E. Wright et al, 221-261, University of Minnesota Press, Minneapolis, 1993. (67)I. Hodder, Postprocessual Archaeology, Advances in Archaeological Method and Theory, Vol. 8, 1- 26, Academic Press, New York, 1985. (69)F. Bordes and D. de Sonneville-Bordes,The significance of variability in Paleolihtic assemblages, World Archaeology 2:61-73,1970; L. R. Binford, Interassemblage variability-the Mousterian and the “functional” argument, In The Explanation of Culture Change, edited by C. Renfrew, 227-254, University of Pittsburgh Press, Pittsburgh, 1973. (74)L. R. Binford, Constructing Frames of Reference: an Analytical Method for Archaeological Theory Building Using Ethnographic and Environmental Data Sets,University of California Press ,Berkeley, 2001. (75)R. G. Matson, and G. Coupland, The Prehistory of the Northwest Coast, Academic Press, San Diego,1995. (95)C. Vila et al,Widespread origins of domestic horse lineages, Science 291:474-477,2001. (96)A. M. Lister,Tales from the DNA of domestic horse, Science 292..218-219,2001. (97)E.S. Higgs,Palaeoeconomy,Cambridge University Press,Cambridge, 1975. (98)L. R. Binford, Constructing Frames of Reference: an Analytical Method for Archaeological Theory Building Using Ethnographic and Environmental Data Sets, University of California Press, Berkeley, 2001. (107)M. Q. Sutton, and E. N. Anderson, Introduction to Cultural Ecology, Altamira, Walmut Creek, 2004. 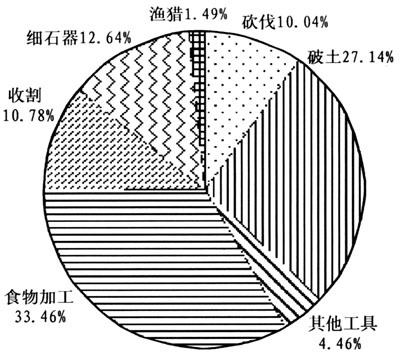 (111)学者认为，大豆的驯化可能始于公元前1100年左右，见T. Hymowitz, Soybean, Evolution of Crop Plants, edited by J. Smartt, and N. W. Simmonds, 413-484, Longman Scientific and Technical, Harlow, 1995. 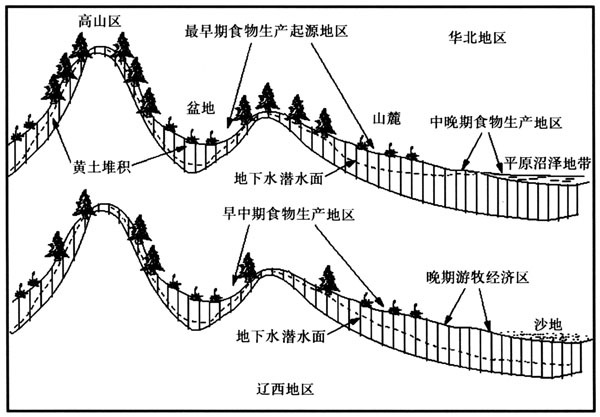 【内容提要】 The zones along the south and north sides of the Yangshan Mountains and the Great Wall were important ecotone in China, the environment of which is very instable and sensitive to external changes but the natural resources of which are plentiful and diversified. As the Cultural Ecology Theory on the hunter-gatherers, the hunter-gatherers could deal with the instability of the resources by increasing mobility and storage, extending diet pattern, improving exchanges with other human groups and intensifying the utilization of some resources; compared to those of the non-ecotone zones, the frequency and scale of these methods would be both larger. As for the food producers, they would rely on pluralistic subsistence styles; meanwhile, along with the increasing population, the people would seek for the extension of production scales; if the conditions permitted, the people would also more effectively utilize the social resources, which included developing specialized subsistence, forming symbiotic relations with the stable agricultural people, or seizing profits through warfare, to deal with the risk of instable resources. The archaeological researches revealed that in the late Paleolithic Age, the most important adaptive strategy of the people living in this area applied was increasing mobility. 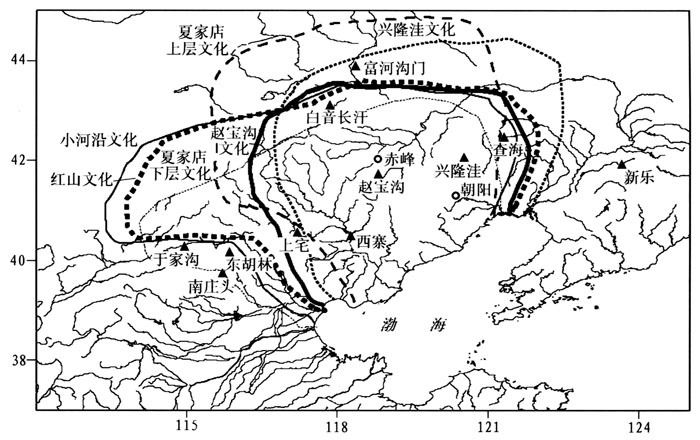 With the ending of the last glacial stage, the food producing economy and the warmer and moister environment created new ecological space in which the Xinglongwa Culture prospered. During the entire Neolithic Age, the main adaptive strategy in this area was the pluralistic subsistence with higher proportion of hunting-and-gathering economy. At the time of Lower Xiajiadian Culture, along with the domestication of horses, the animal husbandry appeared as an economic type, and then developed into nomadic economy. At the same time, the dry farming system based on the cultivation of crops, especially the soybeans, and animal husbandry was established in the North and formed a symbiotic relation with the nomadic economy. The ecological bottleneck of this zone forced the people living here to utilize the steppe resource which was much richer and to construct new subsistence style.